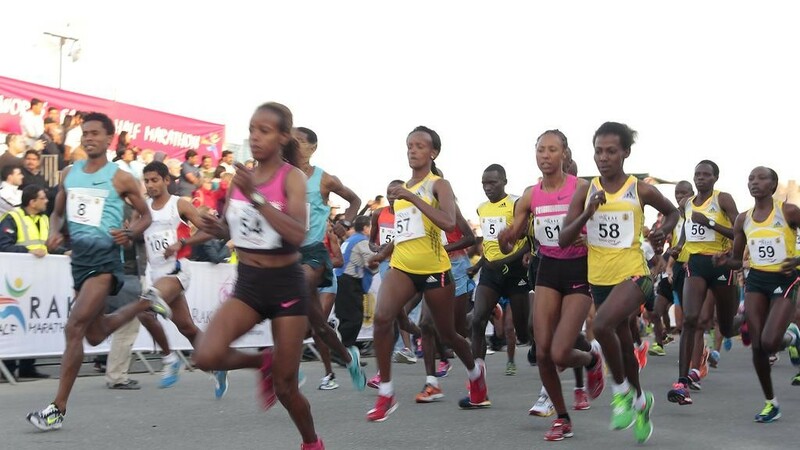 The 28-year-old Ethiopian set the women's-only race world record at the World Half Marathon Championships in Valencia last year, clocking 1:06:11. 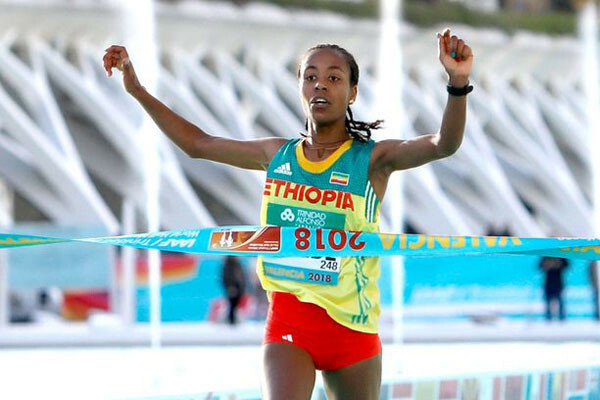 But she's run even faster since, clocking 1:05:45 to equal the Ethiopian record at the RAK Half on 8 February, where she finished second. More recently, she ran 1:06:49 at the Bahrain Night Half Marathon on 15 March to finish third. She'll face Ruth Chepngetich, who set the Istanbul course record of 1:06:19 in 2017. She was second in the Bahrain race last month, clocking 1:06:09 to clip ten seconds from her personal best. Chepngetich began 2019 with a bang, winning January's Dubai Marathon in 2:17:08 to become the third fastest marathoner in history. Other standouts include Ethiopians Bekelech Gudeta and Helen Tola, who have 1:07:03 and 1:07:47 lifetime bests to their credit; and Kenyan Delvine Meringor, another sub-1:08 runner. 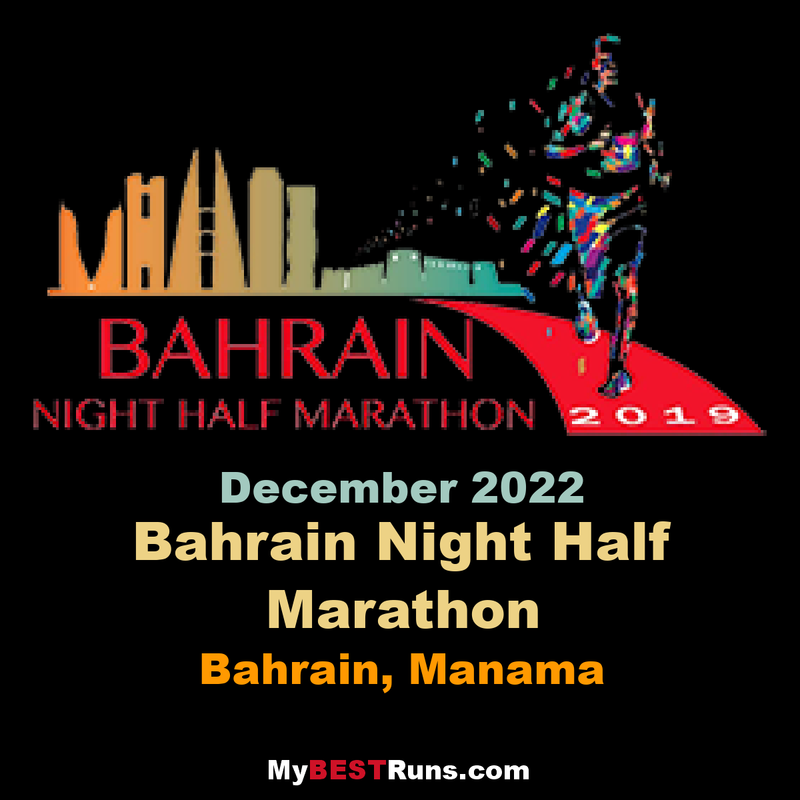 The prestigious race is being held under the patronage of His Majesty King Hamad and organised by BAA in cooperation with International Association of Athletics Federations (IAAF), Association of International Marathons and Distance Races, BOC, Asian Athletics Association and Tumooh Sports Management. 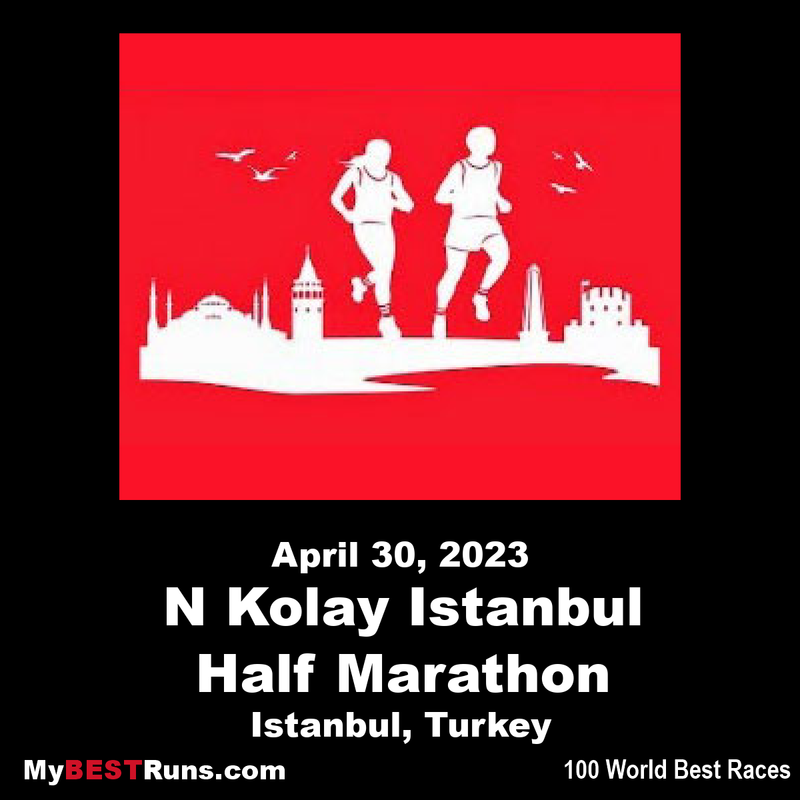 The event features separate categories for men and women over 21.1kms while there are also six-km events for those who want to run for fun and be a part of the biggest half-marathon in the region. 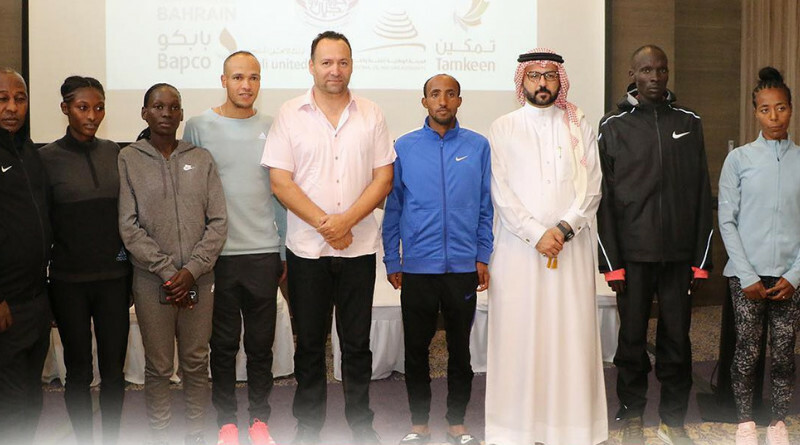 The participants include some of the biggest names in international long-distance running, such as world record holder in half-marathon Abraham Kiptum of Kenya. Kiptum was upbeat yesterday heading into tonight’s event despite it being his first night race. Just last September he set his world record of 58 minutes 18 seconds in Valencia, Spain, and is confident he can maintain his fine form in Bahrain. “Let’s hope we can be as strong as we can be,” Kiptum said. “Although it is my first night race, if the weather is good, the pace is good and if we can be strong, then we shall have a good time. 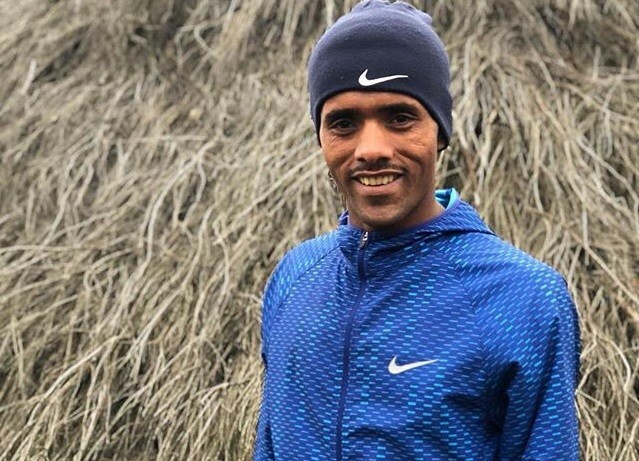 Among the men’s elite runners who are expected to challenge Kiptum are Ethiopian Jemal Yimer Mekonnen and Bahraini Hassan Shani. 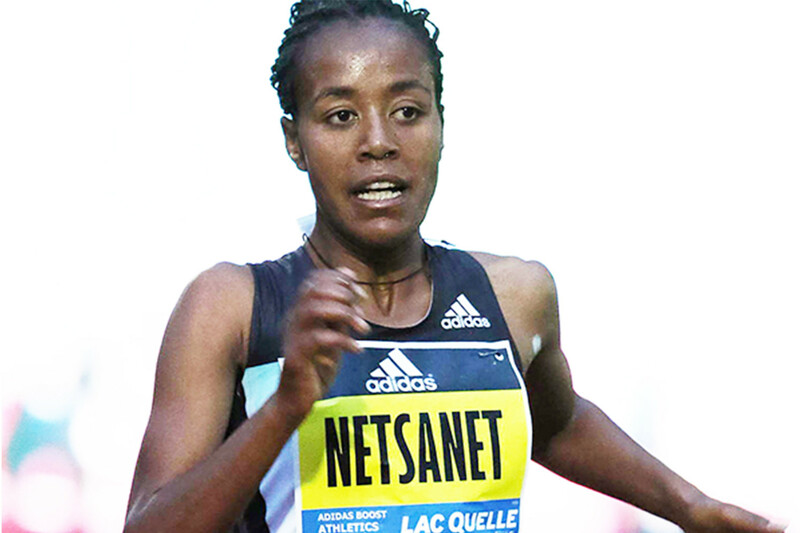 Among the women, reigning world champion and world record holder of a women-only race Netsanet Gudeta Kebede of Ethiopia is one of the pre-race favorites as is reigning women’s full marathon world champion Rose Chelimo of Bahrain. 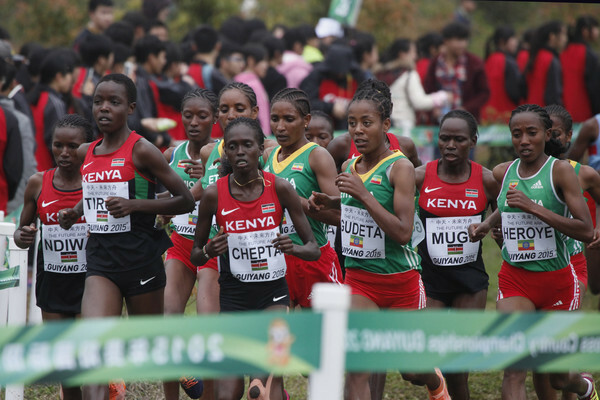 Rose’s fellow-Bahraini Eunice Chumba, who is a bronze-medallist at last year’s World Half-Marathon Championships, will also be competing along with Ethiopian Senbere Teferi, who is a former gold-medallist in the World Cross Country Championships and a former silver medallist in the 5,000m. Mekonnen, Shani, Netsanet, Eunice and Senebre were present with Nasser and Kiptum at yesterday’s press conference along with BAA technical director Taher Righi and renowned Ethiopian coach Haji Adilo. “It is very important for us to do well in this race, especially since we are representing Bahrain. 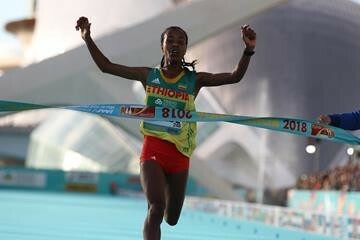 We will try our best to get a good time and also win,” said Eunice. The men and women winners receive a prize money of $100,000 each. All runners finishing in the top ten in both categories will also win cash prizes totaling over $350,000 plus possible bonus money. There are bonuses of $30,000 for new world records. 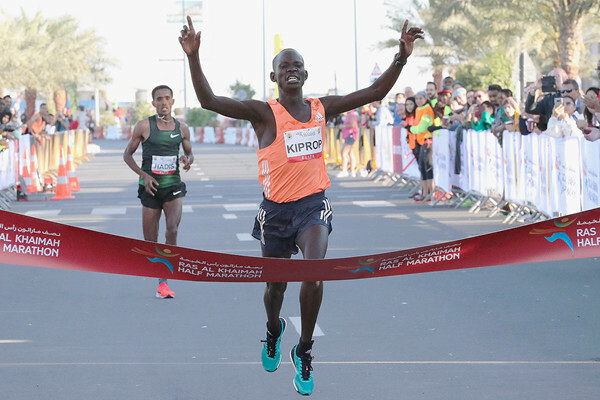 Kenya's 19-year-old Stephen Kiprop won the Ras Al Khaimah (RAK) half marathon on Friday in a course record-equalling 58 minutes and 42 seconds, the fastest time ever recorded by a teenager. Ethiopians Abadi Hadis and Fikadu Haftu completed the podium and Switzerland's Julien Wanders was fourth in a time of 59:13, a Swiss national record. This also beats Mo Farah’s European record of 59:32. Hadis led Kiprop until the final 50 meters of the race before the young Kenyan powered past him to finish two seconds ahead. The race lived up to its billing of being the world's fastest half marathon as 11 men finished inside an hour, the first time it has happened in half-marathon history. Five women finished under 1:06:30 which makes RAK the fastest women’s race ever too. 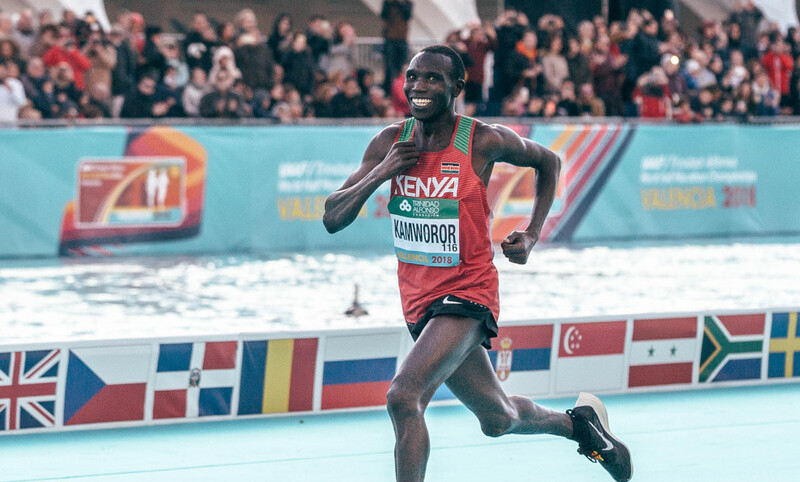 Kenya’s Stephen Kiprop continued where he left off last year by winning the Ras Al Khaimah Half Marathon on Friday Feb 8 in an equal course record of 58:42, moving to joint sixth on the world all-time list. In a close women’s race, Senbere Teferi won in 1:05:45, the fastest debut half marathon time in history, with just one second separating the top three finishers. 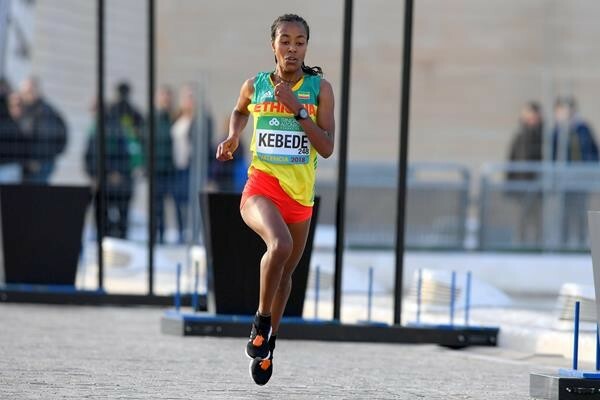 In the women's race, Ethiopia's Senbere Teferi won in 1:05:45, ahead of compatriots Netsanet Gudeta and Zeineba Yimer, with only one second separating all three runners. Teferi also set a record for the fastest debut time in a half marathon. 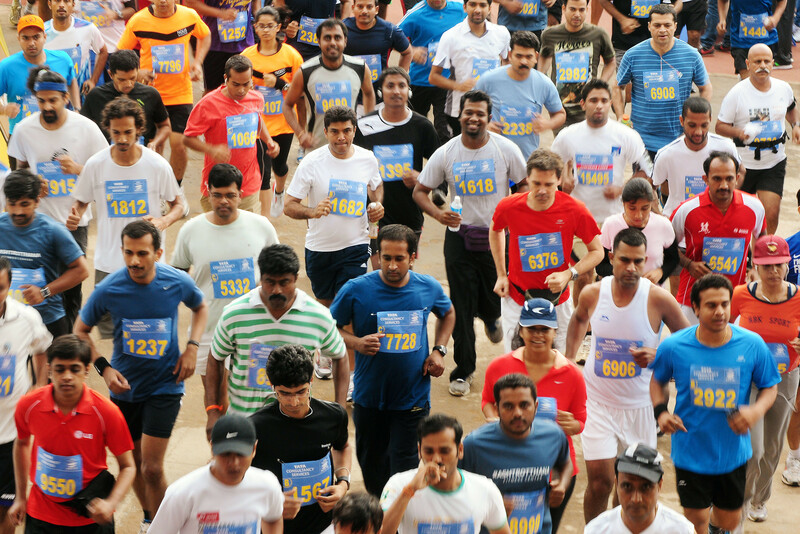 There were 2423 men finishers and 755 women. 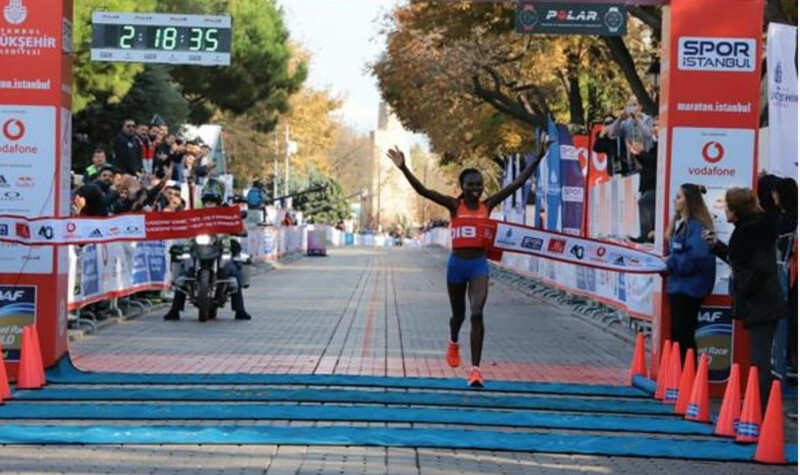 The 2017 champion Peres Jepchirchir, in a then world record of 1:05:06, returns from becoming a mother, and while she may struggle to match the dramatic consistency of her 2016 racing year and the subsequent world record in Ras Al Khaimah, there is justifiable excitement about her return. 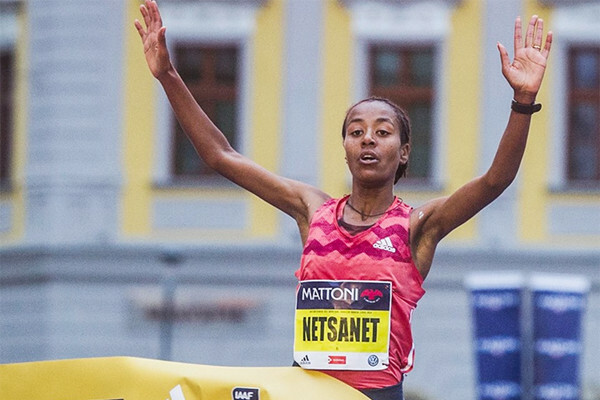 Equally keenly anticipated, is the appearance of reigning world half marathon champion Netsanet Gudeta of Ethiopia, whose win in Valencia last March not only gave her global gold but was a world record for a women’s-only race. She also won all three of her half marathon in 2018, and her remarkable consistency over the last four years, suggests there is more to come. In the field as well is UAE’s own Alia Mohammed Saeed, who’s best time of 1:06:13 came in her debut and her only half marathon in Valencia last October. She was a close runner-up there and her three 10k road wins out of three last year, suggest her competitive instincts are finely honed. Trying to stop her, from her former home in Ethiopia and only 20 last June, Zeineba Yimer ran five half marathons in 2018, each of them of high quality, and they included a fine fifth place at the world championships in March (1:08:07), followed by much faster times in September’s Copenhagen race (1:06:21 pb) and New Delhi (1:06:59). Not having raced since that latter outing in October, should see her in fresh and ready-to-race. Throw in Degitu Azimeraw who also has just one half marathon to her name, and the challenge is clear. The winner of her first international race in Kolkata, a 25km just over a year ago, she was sixth in Ras Al Khaimah last year, her one and only half marathon ever, in a fine 1:06:47, to place just outside the world top ten for the year. 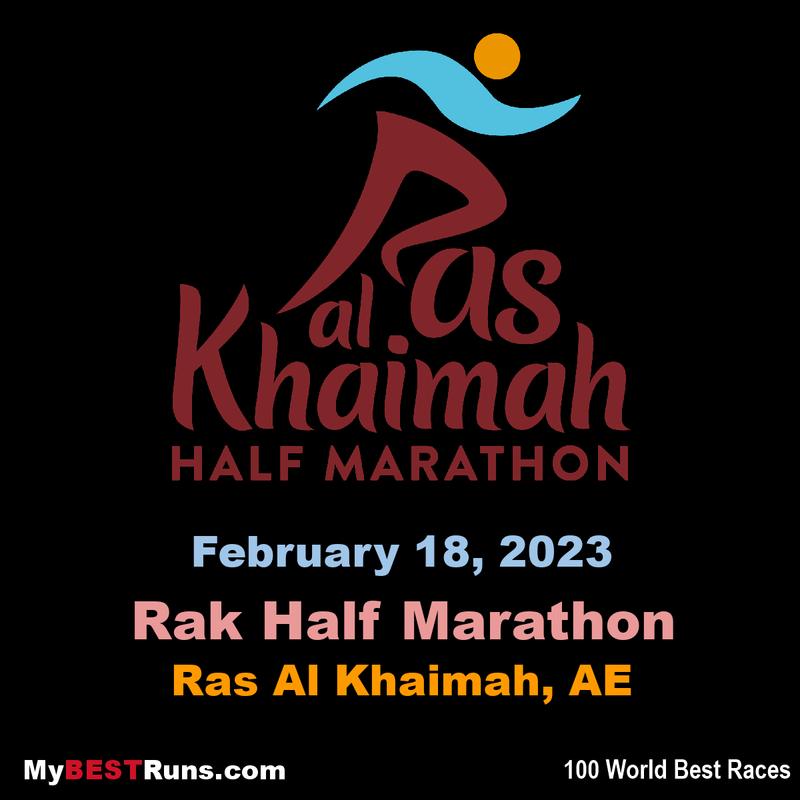 The race, traditionally one of the world's fastest half marathons, is this year to be staged partially on the brand-new man-made Al Marjan Island complex, possibly an even faster circuit than in previous years.